State of the Environment: Year 10 Report Now Available! Nature, essential to our quality of life. Berks Nature is a 501(c)(3) non-profit conservation organization that has been serving the Berks County community since 1974. For 41 years we were known as The Berks County Conservancy. While our name has changed, the quality and nature of our conservation projects remain the same. Land, water, trails, community gardens, education programs, State of the Environment, Eco-Camp, and our valued partnerships will continue. 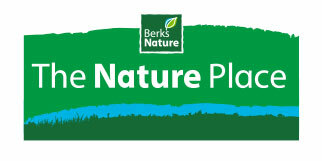 You will see this work reflected in the following sub-brands of Berks Nature as we move forward! We welcome your involvement in many ways! Become a member today, Volunteer, Make a Donation, attend an upcoming program at The Nature Place Get involved today…help to protect nature and connect others to nature! Opportunities are still available for giving, as well as naming rights and plaques at The Nature Place. Thank you to our members, donors and supporters- all of whom helped to make our dream of The Nature Place a reality. Donate Today! Or contact Berks Nature’s offices directly to discuss the giving opportunities still available: 610-372-4992 x100, or info@berksnature.org.